New article at Inc. Check it out (see end for prologue). Handwritten cards are an undervalued and underutilized business tool. When was the last time you received one via snail mail? Now when was the last time your email pinged? If your inbox is like mine, it is full of emails that need reading, responding and filing. Even with filters and spam guards, it only takes a couple hours for my inbox to get cluttered and my productivity to take a pummeling. Because of this, I have come to rather enjoy receiving snail mail and the brief reprieve it brings. And, when I receive a note from a colleague or new acquaintance, the rarity makes the task that much more enjoyable. I understand that the task of writing cards is cumbersome (not to mention outdated) and has been largely replaced by emails, Facebook messages and tweets. Sending a hand written note, however, to thank someone for a meeting or offer congratulations for a promotion, communicates volumes of in just a few words. Yes, it is time consuming, but because this small gesture can make such a large impression, here are some tips for streamlining the process and maximizing their impact. You can find simple, blank cards in the clearance aisle at OfficeMax or at Dollar General. Buy a box and keep a few with you at all times. Remember, it’s the thought that counts. If you want to perk up your presentation, you can beautify your stationary through online services such as Mo0.com, which will create customized, high-quality notecards for a premium. Take a few minutes to prep your envelopes with a return address label and stamp. This will not only cut out this step in the process, but it will make you more inclined to actually use them. And, yes, buy stamps. Real stamps. You’ve gone this far in the process, so don’t ruin the impression with a generic red stamp from a postage meter. A long, detailed note defeats part of the original purpose. Simply include a brief reminder of where you met, what you discussed, and how thankful you are for their time. Anything more will most likely be seen as insincere and as an overzealous marketing ploy (it is, but it should not come across as such). Instead of using valuable notecard real estate reminding the recipient of who you are, include a business card and let it do the talking. Just make sure your business card says what you want it to say. I find that having a high quality pen helps. While I will make small corrections on the card, if the pen leaks, bleeds, or runs out of ink mid-message, it kills the presentation. You can even find online help (if you need it). If you find carrying cards with you too much, or you simply don’t know where the nearest post office is located (hey, nobody’s judging), then consider an app that will do the same thing. 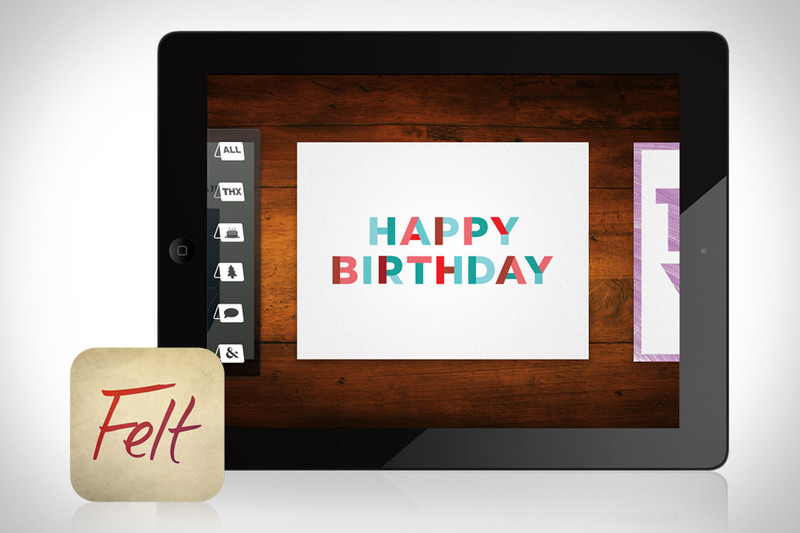 For instance, Felt is an app that allows users to create customizable greeting cards with handwritten messages on an iPad, which are then printed and mailed for you. It even allows you to handwrite the address on the envelope. Cost is steep at $3.99 per card, but the presentation is very nice. Sending handwritten cards does not have to be a time consuming and burdensome task. The return on investment for your time, however, is priceless. And, if doing so gets you away from the anxiety of an Outlook inbox packed with email, even for just a few minutes, well, that may just be worth it all in the end.